At the end of the Second World War, Korea – which had formerly been occupied by the Japanese – was divided along the 38th Parallel. This was an internal border between North and South Korea based on a circle of latitude. The North soon fell under the influence of the Soviet Union whilst the South relied on the support of the Americans. 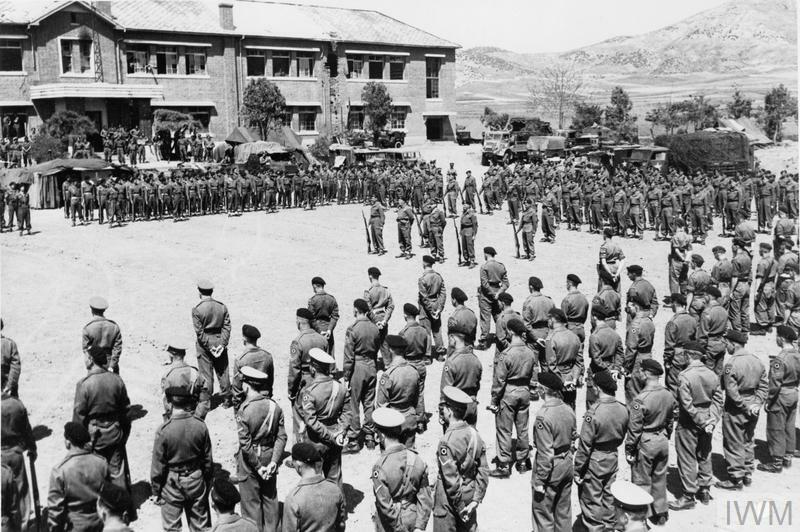 The Korean People's Army (KPA) was established in North Korea in February 1948, from Korean communist guerrillas who had previously served with the Chinese People's Liberation Army, but were 'advised' by Soviet personnel. By mid-1950 the KPA was composed of ten infantry divisions plus other units totalling some 223,000 men. On 25 June 1950 the KPA invaded South Korea and rapidly advanced southwards trapping South Korean and American troops in a small perimeter around the port of Pusan. The United Nations was quick to respond and immediately encouraged its members to support the South. 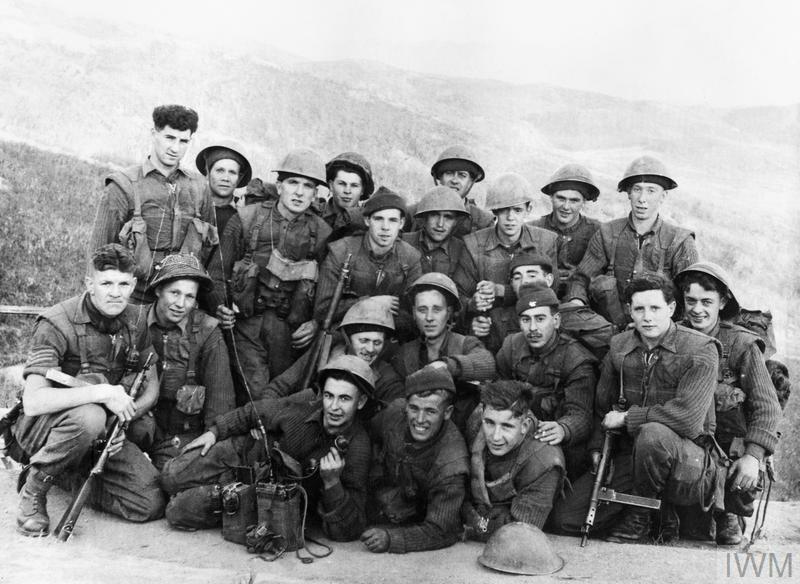 Many countries sent in troops, including the United States, Great Britain, Australia, Canada, India, New Zealand and South Africa. 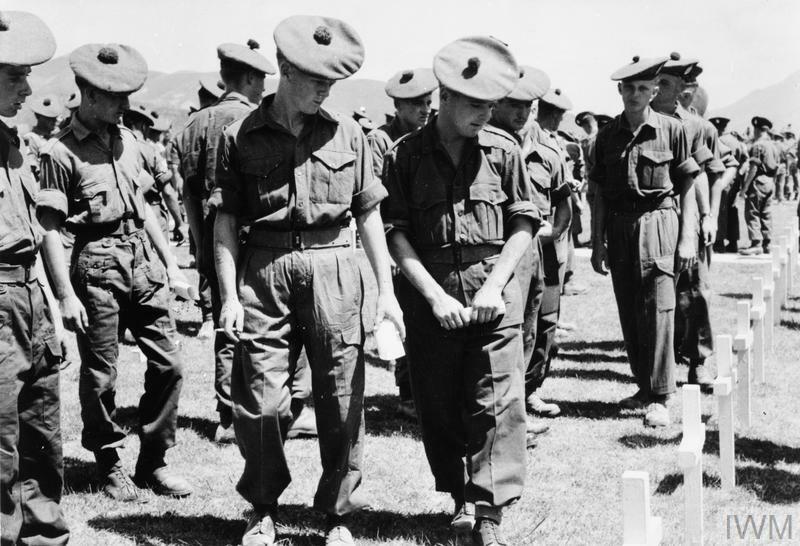 Representatives of United Kingdom, Canadian, Australian and Belgian units of the British 29th Brigade stand at Parade Rest, during ceremonies in which the American Presidential Unit Citation was awarded to the Gloucestershire Regiment and the 170th Independent Mortar Battalion, Royal Artillery for a heroic and sacrificial stand against encircling Chinese, 23-25 April 1951. The United Nations commander General MacArthur ordered an amphibious landing at Inchon, a port halfway up the Korea peninsula. His forces were able to drive the KPA back into the North and up to the Yalu River, the border between China and North Korea. At this point China entered the war and again pushed United Nations forces back into the South. During the first half of 1951 fighting stalled and armistice negotiations began in July. However, the negotiations achieved little initial success and the opposing armies continued to face each other in trenches little more than a mile apart for the next two years. Finally, on 27 July 1953, an armistice was signed agreeing that Korea would remain a divided country. Explore photos that show the experiences of some of the men who served in Korea and the conditions in which they lived and fought during the war. Hear veterans of the Korean War tell their stories of the conflict.